The most pleasant thing in the world is somebody's attention. Flowers are the most beautiful gift, so use this idea to make your own business and bring real sophistication into life. Creating your site is important, and this template already has all you need an attractive layout, a large top slider, comfortable navigation, and juicy font. Rest assured that your site created on its basis will be accessible in all browsers. Get this theme to create a hypnotized effect and popularity among both men and women. I haven&#039;t had the chance to try to custmize it a little bit, but it seems to work perfectly. 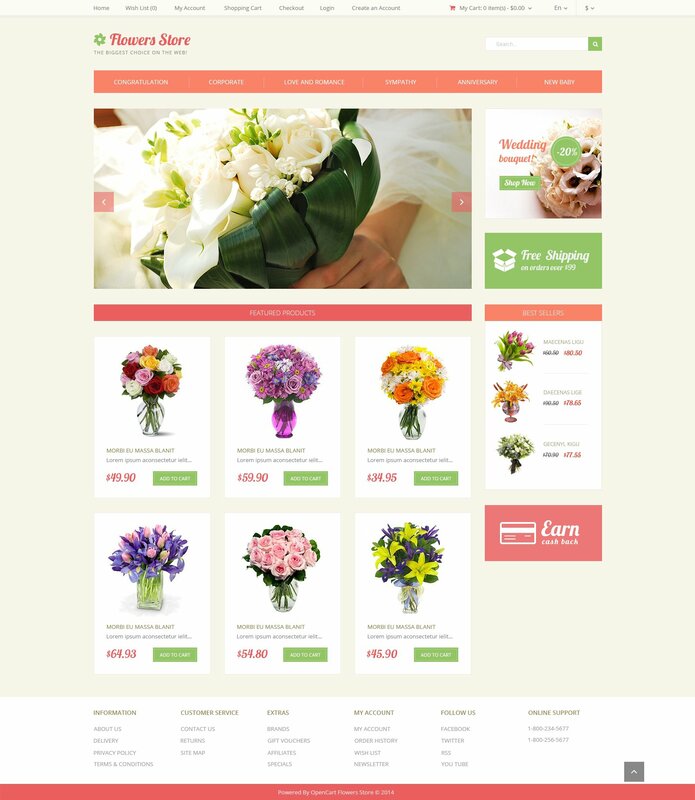 Use this OpenCart template for florist, wedding and gifts online stores.